Come join the Wyoming Antelope Club black powder shooters for fun, competition and a chance to learn more about this entertaining and challenging discipline. 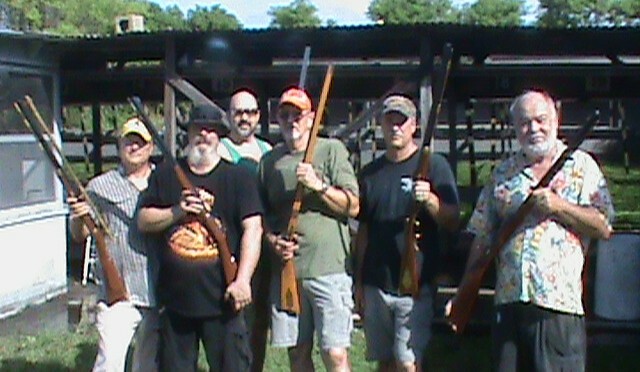 We meet the 4th Sunday at 8:30 AM on the Bullseye Range. We have a 30 minute session prior to the start of our matches to practice, adjust sights and generally “warm-up”. This is a relaxed, informal match, with emphasis on safe shooting with plenty of good competition. We welcome new shooters, or even those who don’t have a black powder rifle but are interesting in learning about this type of shooting. There are no time limits so if you need a little help, there are always plenty of experienced shooters willing and able to help you out with any problems. Many shooters have an old CVA, Thompson Center or similar rifle that they may have played with at one time but now sits unused on the rack. Well, dust her off, (the gun that is) and bring her out to join us for a good time. We fire at a variety of targets every month, from double bullseye buffalos to the ever challenging inverted “V” which will test your confidence in your shooting.